​​Arsenal academy graduate Alex Iwobi is to be rewarded with a new long-term contract which will keep him at the club until 2022. New Gunners boss Unai Emery is looking to tie down the Nigerian international with an improved deal which will replace his current contract which ran until 2020, as reported by ​The Mirror. Iwobi, 22-years-old, signed for the Gunners when he was still in primary school and made his first team debut in October 2015 in a 3-0 loss to Championship side Sheffield Wednesday. The Nigerian international has been negotiating new terms since the end of last season and is finally ready to sign a new deal with his boyhood club. He made a total of 26 appearances in the Premier League last campaign, notching three goals, whilst making a further five assists. 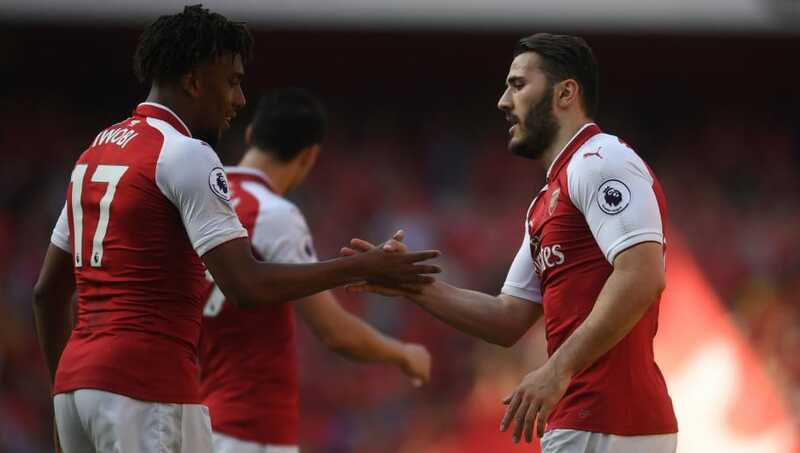 Iwobi's future at the Emirates was uncertain when Emery arrived, as the Spanish manager has previously opted to use a central diamond in the midfield, which would make the wide man surplus to requirements. The winger was part of Nigeria's World Cup side which went crashing out at the group stages in Russia after a final game loss to Lionel Messi's Argentina. It was reported Serie A teams Lazio and AC Milan were interested in the midfielder, along with Premier League side Everton. Emery has chosen to get new deals completed early along with transfers, as the club do not want a repeat of the contract stand offs which involved Mesut Ozil and Alexis Sanchez which saw the latter move to ​Manchester United last January in a swap deal.